Hiring employees involves a lot of process, communication, and a lot of actors. The main actors are the Recruiter, Hiring Manager and the Candidate. If you are using a spreadsheet to manage your hiring process, then it is time to understand the benefits of an online applicant tracking system. If you are already using an online applicant tracking system and it does not support resume parsing, you should seriously consider one that supports resume parsing. 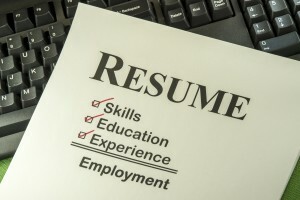 This article details the benefits of resume parsing in an online applicant tracking system. Recruiteze is a simple modern online applicant tracking system that you can use to easily manage your applications, notes, scheduling and communication. Recruiteze also supports advanced resume parsing capabilities which reduces your work tremendously. If your online applicant tracking system does not support resume parsing, here is the process that you will follow. You receive the resume in email. You manually enter all the candidate information into the online ATS. This requires opening the resume and reading carefully to understand the skills, education, experience and contact information. This might take you easily at least 10 minutes for each candidate. On average, a job posting receives 250 job applications. That means it takes 2500 minutes to add the candidates for each job. This amounts to 42 hours, or a week’s worth of time, to just add the candidates to the database. The reason you are using an online ATS is to make your life easier. If you are following this process, it definitely is not making it any easier for you. If you are not aware, there are modern online ATS systems that support this feature. Also ATS systems with this feature are also not that much more expensive than your current system. Here are the benefits of an online applicant tracking system that supports resume parsing. Candidate applies for your job posting. You will receive an email with the attachment of the resume and the application. The resume is parsed and added to your candidate database. It will pull out all the candidate contact information, experience, skills and education. Modern online ATS will also take care of duplicate submissions. There will be only one record for each candidate. Saves 10 minutes of your time. Sends out a personalized application acknowledgement to the candidate, since the candidate contact information is already parsed. With the modern ATS, you can also forward the resume from your email to the ATS. It will automatically be parsed and added to your database. You will see a tremendous improvement in your hiring process with this important feature. If you are looking to sign up for an online applicant tracking system, you should certainly have this as a top requirement for any system you consider. With so many activities to take care of during the hiring process, having more time allows you to make better decisions which, in turn, results in better hires. If you have more time, you will spend more time looking at the candidate’s credentials, learning more about the candidate by having more detailed conversations. You can also do more detailed reference checks. You can also talk to more candidates to find the best match for the job. 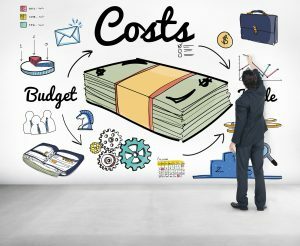 Read this article on the cost of a bad hire. With an online applicant tracking system, you can easily manage your job requisitions, applications, notes, communication and scheduling. Recruiteze offers the most intuitive and simple interface to manage your hiring process. It is primarily built for small to medium sized businesses who do not want to pay through the nose for an efficient online ATS. 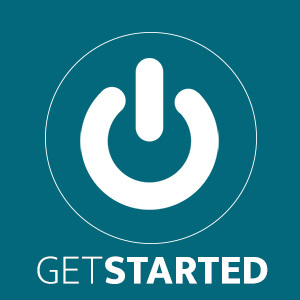 Recruiteze is available from anywhere you have a browser and internet connection from your computer, tablet or smartphone. Try Recruiteze free today! If you are not sure how to pick the right applicant tracking system for you the following articles might help you pick the right system for your needs. Do You Really Need AI in Your Online Applicant Tracking System?